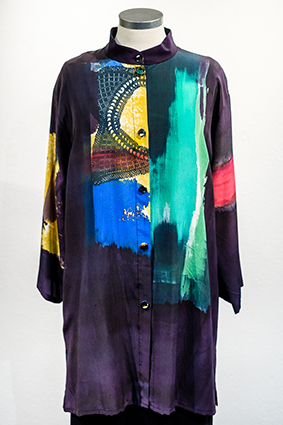 A silk crepe painted ‘Indian’ style round neck shirt dress. This piece is painted in chocolate brown with dramatic silk screened images of Georgian lace collars in green,blues, yellow and reds. 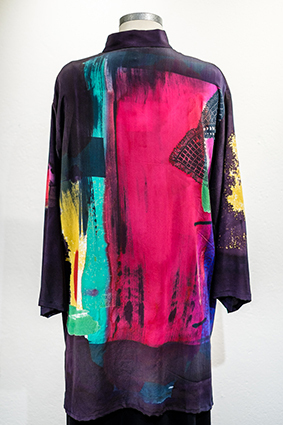 More: Silk, Silk Jackets, Silk Shirts, Tops and Tunics.